Home > Latest News > News, Soil > How Can You Reduce Erosion and Sedimentation? How Can You Reduce Erosion and Sedimentation? Reducing erosion protects water and soil resources. Every person should take steps to decrease erosion and keep soil where it belongs. If you are planning an earth moving project erosion control plans are needed to limit the amount of erosion that occurs. Before you start any project where you disturb the ground you should contact the Pike County Conservation District to find out what plans or permits you may need. There are many small steps you can take around your home to further decrease erosion and sediment pollution in order to help protect the soil and water resources of Pike County. Use rain barrels at the ends of your gutters to capture stormwater –Rain, snow melt, or any other water from precipitation. Precipitation from the roof concentrates in gutters moving it faster and causing erosion. 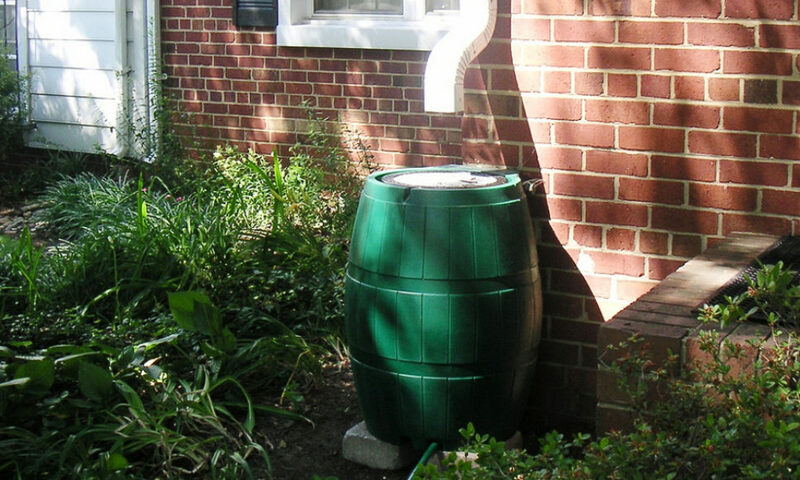 A rain barrel collects this water and allows you to distribute it slower and over a larger area. Install a Rain Garden- Rain gardens much like rain barrels collect stormwater and allow it to infiltrate slowly, instead of flowing quickly over soil causing erosion. Use mulch over loose soil- Any place you have loose soil, such as around plants or in gardens, should be mulched. Mulch slows down water, catches any eroding soil, and prevents the force of falling rain from disrupting soil. Mulch such as bark mulch or even lawn clippings can be used. Plant trees or shrubs- Trees and shrubs are especially important near waterways. If you have a water body on your property consider planting trees or shrubs around it. The roots from these plants help hold onto soil, and prevent it from eroding. Trees and shrubs also work to slow down the flow of water over soil, and help it infiltrate into our ground water.